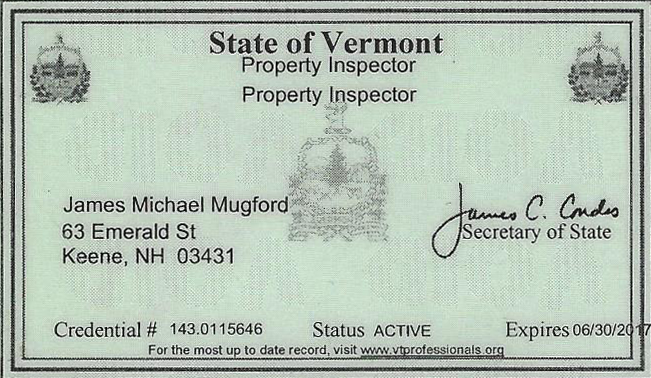 I am Michael (Mike) Mugford, owner and principal inspector of Downeast Inspection Services, LLC. 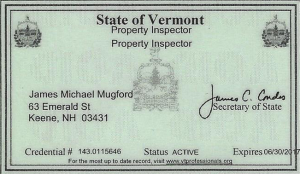 As a professional home inspector, trained by the American Home Inspector Training Institute (AHIT), licensed by the State of New Hampshire & Vermont, and certified by the National Association of Home Inspectors (NAHI) & American Society of Home Inspectors (ASHI), you can expect a thorough and knowledgeable property inspection, held to the highest of industry standards, and in terms that you will easily understand. Early on in my life, I had the opportunity to grow up in a highly respected home builder’s family, and learned first hand about the differences between right & wrong, and quality or unacceptable workmanship. Since then, I have accumulated over thirty-five years of professional experience in both new & renovation construction, construction defects investigation, and apartment facilities management. I have owned my own business for over twenty years. The core principals learned in the early years, coupled with the hands-on experience and knowledge gained from my career achievements, furnish me with the technical expertise to provide you a thorough and objective inspection. It has been my experience over the years that there are often many indicators of whether or not the structure, and it’s many interior & exterior systems, are performing correctly. Over the course of our inspection it is my job to provide you with an accurate assessment, or “snap shot”, of the property’s current condition based on how well it was built, and how well it has been maintained since it’s inception. My goal is to provide you with the knowledge necessary to make an informed decision on one of life’s largest investments. 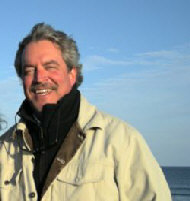 I will strive to provide you with the information you will need to negotiate a position that is right for you. You can expect realistic and accurate observations, presented in an easy-to-read electronic format. As a buyer, seller and homeowner many times in my lifetime, I understand, firsthand, the anxiety associated with purchasing a new property. Whether you are buying, selling, or simply wish to know the condition of your property, you will find me easy to talk to, willing to answer all of your questions, and ready to represent YOUR interests as an experienced professional. Thank you so much for your thorough inspection of our new house. I may have questions once I can get through with school and have time to go there in person. Its reassuring to have someone with your wealth of experience to evaluate things that I know nothing about. Thank you again.